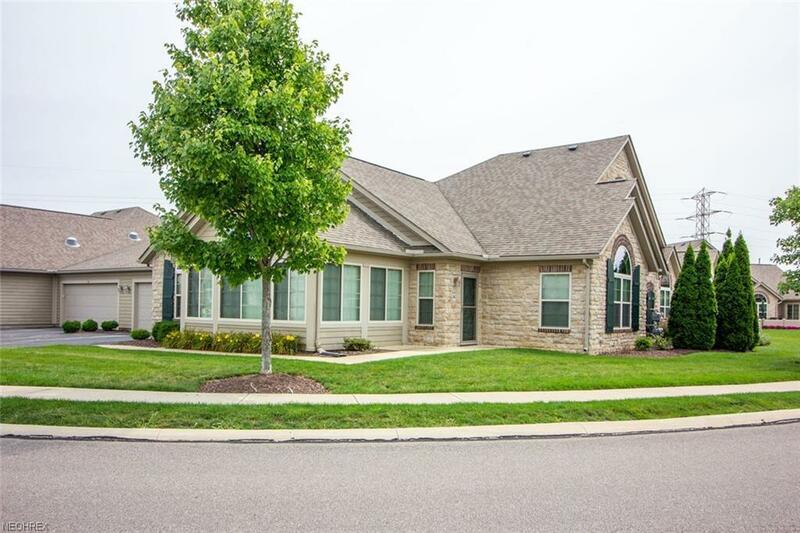 Immediate Possession with this beautiful ranch condo which is conveniently located near the club house and pool. The great room features a vaulted ceiling, gas fireplace with ceramic tile front, and is mounted for a flat screen television. Glass french doors lead to the four season room which has a vaulted ceiling, ceiling fan, and an abundance of windows for natural lighting. The spacious eat-in kitchen features cherry wood raised panel cabinets, vaulted ceiling, skylight, large raised breakfast bar with Formica counter tops, vinyl flooring, and all appliances which include built in microwave, electric stove, built in dishwasher, and refrigerator. The owners suite has a vaulted ceiling and ceiling fan. A tiled walk in shower, a cherry wood, raised-panel vanity with single sink, built in medicine cabinet, linen closet, and spacious walk in closet complete the master suite. 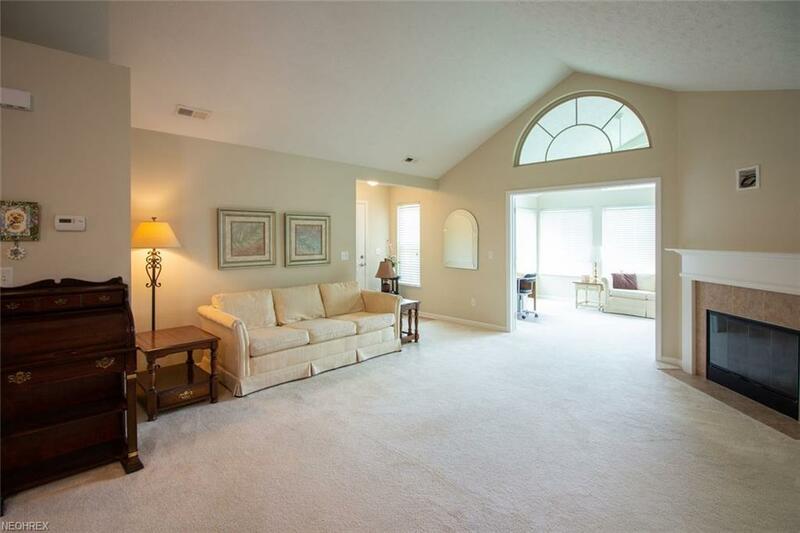 The additional spacious bedroom has a vaulted ceiling and large walk in closet. The second full bathroom features a tiled tub/shower combination, vanity with raised-panel cherry wood cabinets and solid surface counter top, medicine cabinet, and linen closet. The laundry room has built in cabinets, washer and dryer, and utility tub. There is a walk-in storage room. Attached two car garage with pull down storage which has steps. 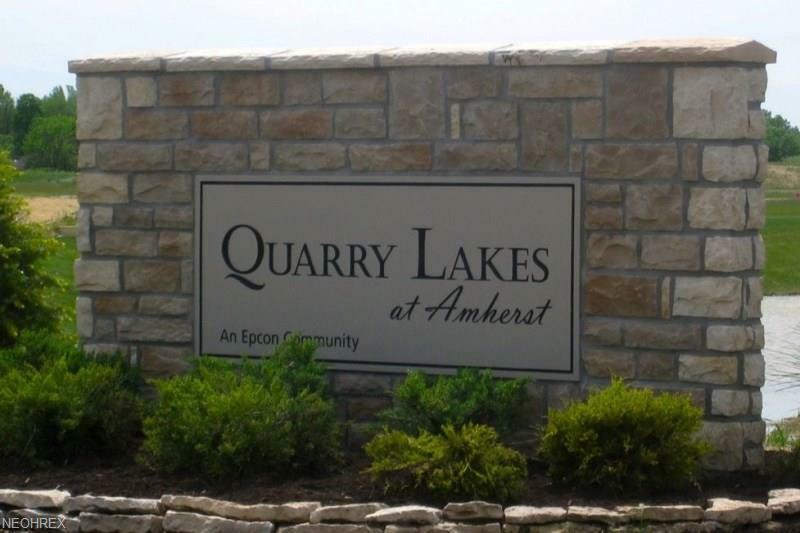 Quarry Lakes offers an in-ground pool, club house & exercise room! Qualified Buyers by appointment. 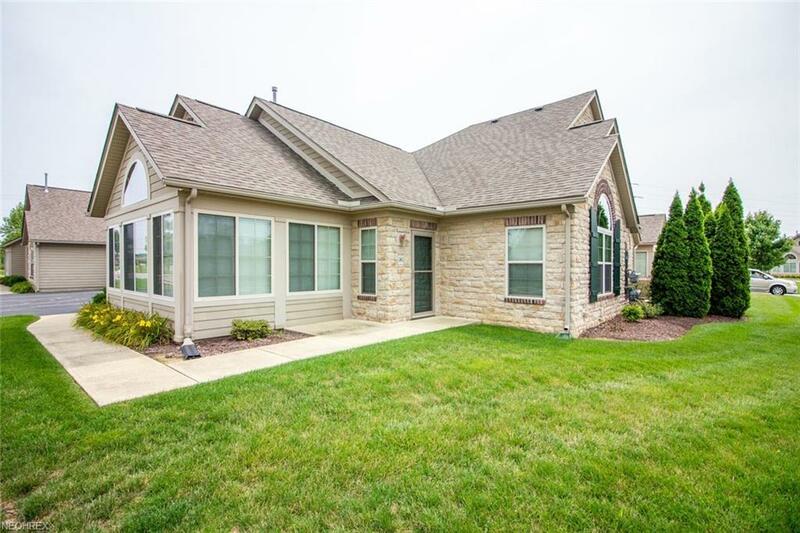 Conveniently located near SR 80 & 90, shopping, and Lake Erie.